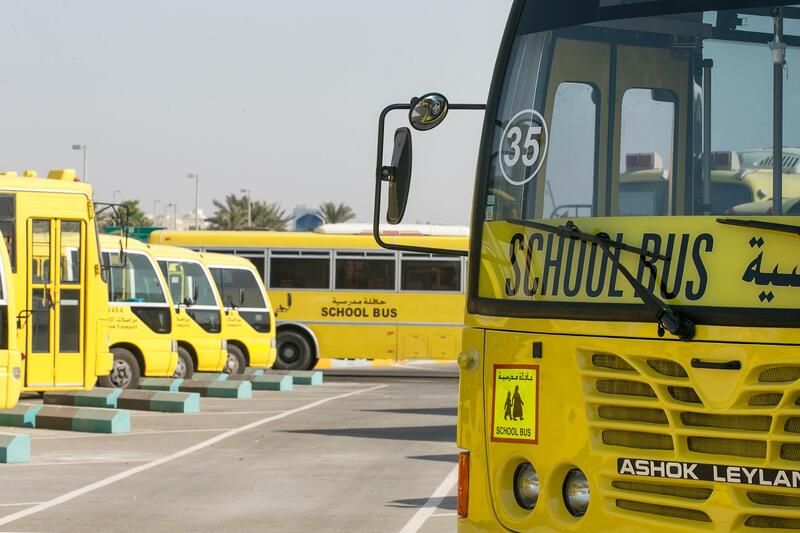 A shortage of regulation-compliant school buses in Abu Dhabi has forced at least two private schools to cancel some after-school sports matches. Headmasters from Cranleigh Abu Dhabi and the British School Al Khubairat issued separate letters to parents on Wednesday alerting them that their students’ participation in Abu Dhabi International School Sports Association (ADISSA) games would have to be temporarily suspended until more buses become available. 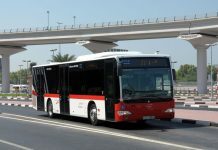 “As many of you may now be aware, we are facing a shortage of Department of Transport-compliant buses,” Cranleigh Abu Dhabi headmaster Brendan Law wrote in an email to parents. 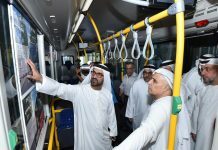 In 2015, the Abu Dhabi Government announced a number of new school bus safety regulations after a three-year-old girl was forgotten in a school bus and left to die in 2014. In 2008, another three-year-old had died in a locked school bus. Operators were given two years to paint their buses yellow and retrofit their fleets with three-point seat belts for children under four years of age, CCTV cameras with audio and video recording capabilities and at least four external cameras. GPS trackers were also added to monitor the buses’ movement and locations, provisions for special needs pupils, among other requirements. The limited number of regulation-compliant buses, along with the growing popularity of the ADISSA among private schools, has created a shortage during peak times, said Mark Leppard, headmaster of the British School Al Khubairat. Schools compete in football, rugby and other sports during the academic year. “The fixtures have grown in number over the years and this is hugely positive but has led to various logistical pressures, particularly around the area of transport,” said Mr Leppard. “Some schools own their own buses whilst others sub contract via approved providers.